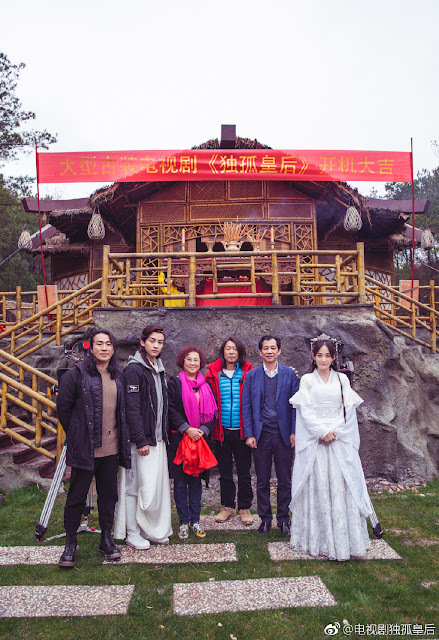 On March 23, Joe Chen (Stay With Me) and Chen Xiao (Nothing Gold Can Stay) participated in a simple prayer ceremony in Hengdian before delving right into filming as the leads in Queen Dugu 独孤皇后. 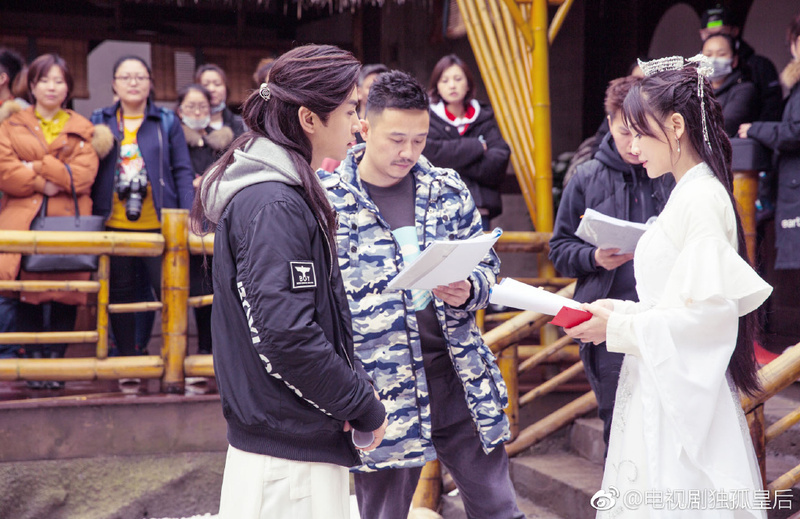 Some fans may be concerned about their 8-year age gap but I think they look good together and firmly believe that they have the acting chops to pull off the titular couple who are so in love that they buck the trend in being the only royal couple in history to be husband and wife (no concubines!). 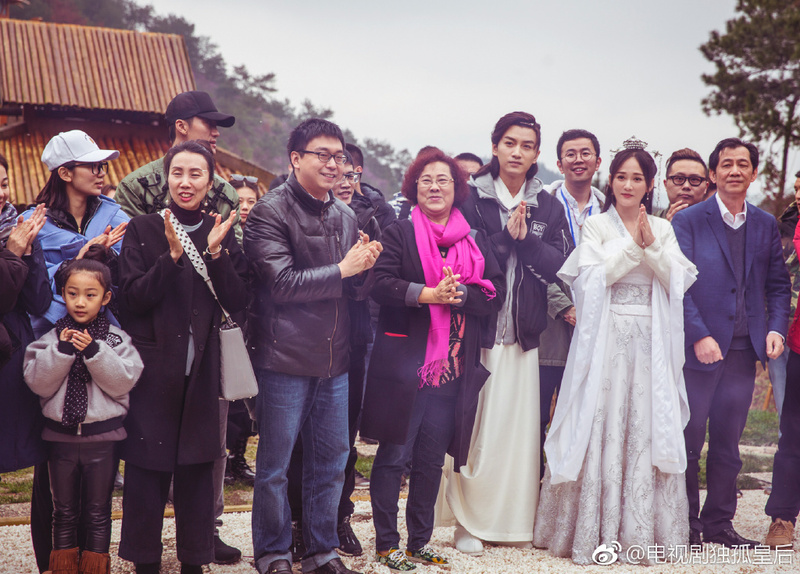 The first glimpse of the costumes is leaving me with mixed feelings, lacking the extravagance that I'm used to seeing but I guess you can never really go too wrong with white. The costumes are kind of disappointing compared to the posters. Not related but will you guys be doing a ratings post for March. 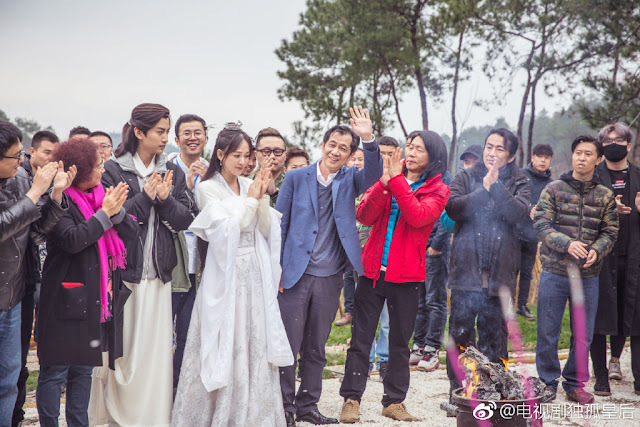 Those posts are very informative and nice, unique feature to the site as no other site regularly posts C-drama ratings news and your commentary is very incisive for us international fans. Appreciate your feedback, means a lot and yes, perfect timing that you ask now coz I literally started already, will probably have it posted in the next day or two.